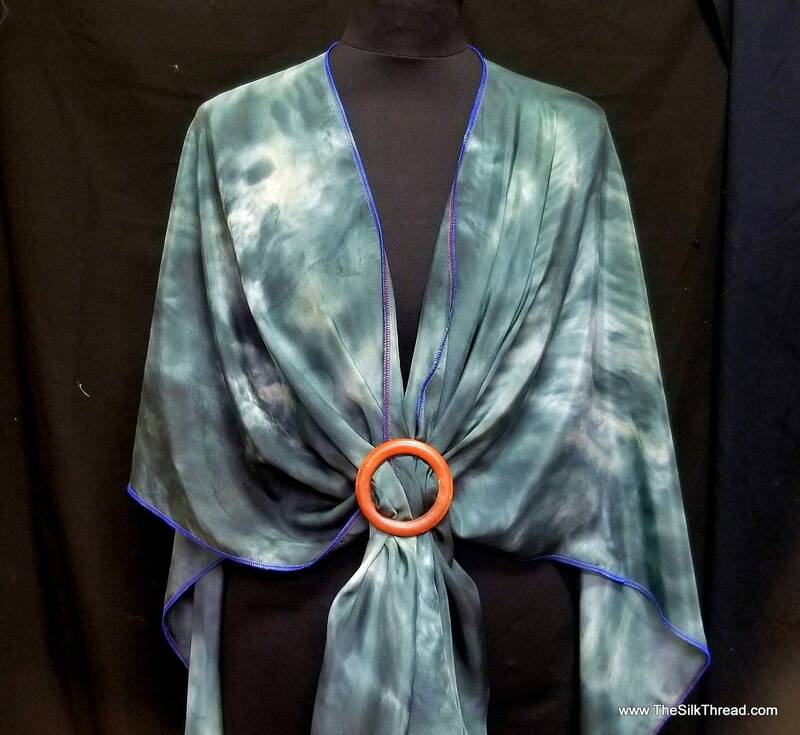 This gorgeous silk Ruana (shawl, wrap or cape) is a lustrous soft silk designed by me in a beautiful combination of shades of black and gray (colors can vary in your monitor) The design runs throughout the piece in swirls and splashes leaving a beautiful abstract pattern of blacks and grays. Handcrafted in my studio from my own design, this ruana simply wraps around the shoulders and can be worn in a variety of flattering ways. It drapes beautifully and can be looped in the front or used with a scarf slide like the one pictured (sold separately). Flip up one side over the shoulder or both. This is a lovely statement piece for all sizes! Pure silk!